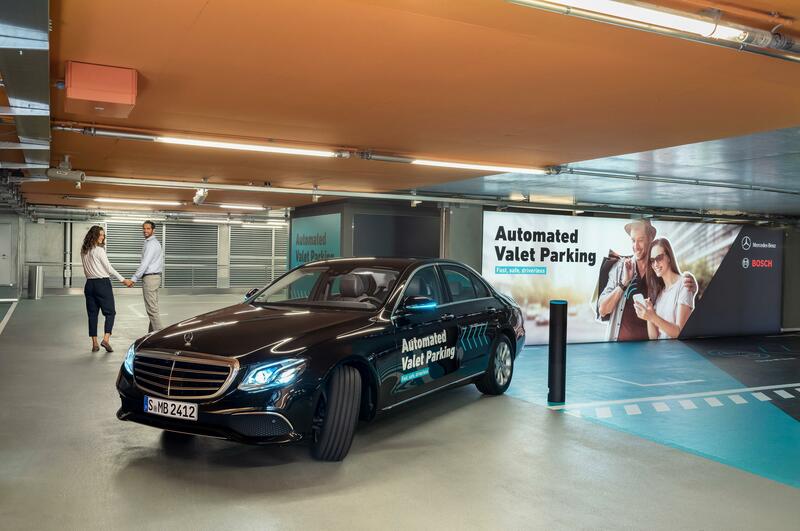 Last year, we brought you news of an automated valet parking system that would allow visitors to the Mercedes-Benz museum in Stuttgart to have their cars drop them off and then go park itself autonomously. Now, one of Daimler's German rivals plans to offer similar capabilities. Volkswagen Group, which includes Porsche and Audi, is currently testing autonomous parking at the Hamburg Airport, with plans to put the technology into consumer vehicles beginning in 2020. For VW, self-parking is the next step after driving assistance systems in the evolution toward fully autonomous vehicles. "Autonomous parking can make an important contribution to creating convenient, stress-free mobility for our customers," said VW Group Chief Digital Officer Johann Jungwirth. "We therefore want to democratize the technology and make it accessible to as many people as possible." The system will first be available at multi-story parking garages. The autonomous cars will have their own, separate traffic flow, so they won't be driving alongside human-operated vehicles. There, the cars will use map data and visual markers to orient themselves and navigate, with data from a variety of sensors being processed in-car by a central control unit. Later, they'll operate in mixed traffic, with the goal of having them able to self-park at any parking area. The Volkswagen brands have other services and technology planned for the future, including Audi AI that allows the car to run errands autonomously, and robots that will automatically charge an electric Porsche after it parks itself. "Our clear objective is autonomously driving vehicles that facilitate mobility for everyone at the push of a button and that gives people back time and quality of life as well as greatly improving safety on the roads," said Jungwirth. "Autonomous parking is a milestone on the way there."